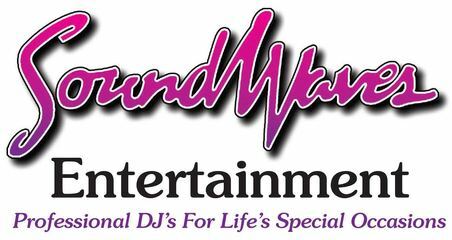 Olivia and Jake chose Soundwaves Entertainment Wedding DJ’s for their wedding reception at The Link’s At Gettysburg in Gettysburg, Pa. 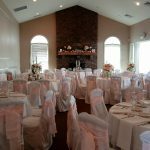 It was beautiful day for a wedding! When we arrived at the venue it looked so magical! 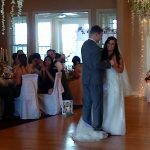 It was almost like a Disney “storybook wedding” that’s how amazing it looked! The guests arrived for cocktail hour which was held outside on the outdoor patio. We provided a small, portable cocktail system outside on the patio. Our cocktail system has a built in wireless mic which is perfect for making an announcement to let guests know when it’s time to transition inside for the reception. 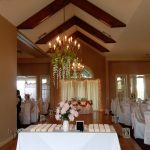 This also helps to insure a seamless and faster transition before bridal party introductions! 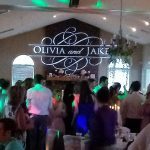 Olivia and Jake did their First Dance right after being introduced! 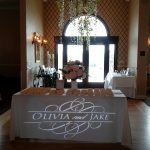 They chose a monogram that we displayed on the dance floor for their First Dance. We then moved the monogram after dinner to the fireplace which made for a great photo opportunity for their guests. After Olivia and Jake cut the cake everybody was on the dance floor making memories for 3 solid hours. 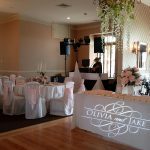 Olivia and Jake chose not to do many of the traditional dances and formalies since they had a really big dancing crowd and a lot of college friends that loved to dance! We are seeing this a lot when meeting with our couples during the final planning meeting. 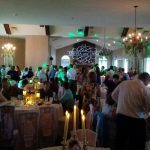 A lot of wedding DJ’s are seeing this new trend for 2018. 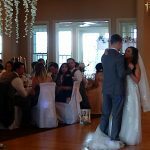 Couples want more time for dancing and are opting to cut a lot of the traditional formalities such as the Dollar Dance and the bouquet and garter toss. 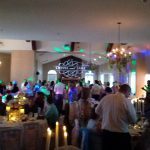 A lot of couples are also opting to shorten the parents dance songs as well.